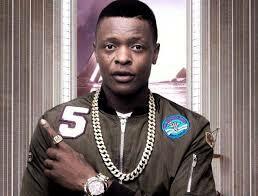 Joseph Mayanja aka Chameleone said musicians will avenge if any other musicain is killed recklessly. File photo. Musician Joseph Mayanja aka Chameleone has expressed disgust over the continued attack on musicians and said they will avenge if another musician is attacked or killed recklessly. Clad in what looked like a military outfit, Chameleone spoke at Moses Ssekibogo aka Mowzey Radio’s burial on Saturday in Kagga, Nakawuka in Wakiso district, saying musicians have launched a war on those killing them with reckless abandon. “You want to know why I am dressed like this,” he asked. “I am dressed like this because this has become a war,” he said, amid applause and ululations. He recounted musicians who have succumbed to clobbering injuries in the recent years. Chameleone also explained why he fought some mourners on Thursday evening during a night vigil at Mowzey’s Neverland home in Makindye. Trouble started when a phone belonging to Weasel, Mowzey’s music partner and Chameleone’s brother mysteriously disappeared. He started beating up people, including a local musician called Fik Fameika as he attempted to recover the phone. Chameleone blamed journalists over what he called negative reporting, saying they (journalists) are responsible for the troubles musicians are grappling with. ” We will not sit as musicians are being beaten. Any person who beats musicians, we will fight back,” Chameleone repeated again and again amid cheers. Weasel on the other hand spoke for about 30 seconds and thanked fans for supporting the Goodlyf Crew and turning up for the burial. Mowzey, 35, died on Thursday after spending 10 days in hospital being treated for injuries he sustained during a fight in the bar.